Railway Museum was inaugrated on 27th January 1997 by Shri V.K. Agrawal, Member of Railway Board. 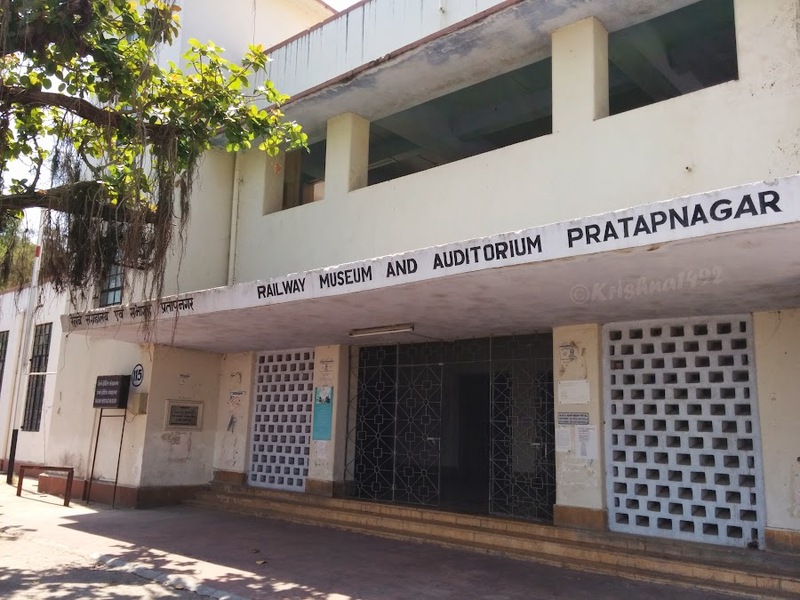 Housed as part of the club house in the railway colony at Pratapnagar, the Pratapnagar Railway Museum lies at the end of the Heritage Walk. 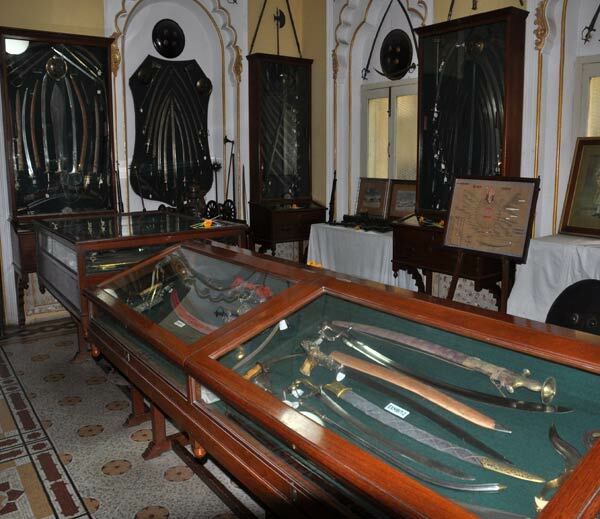 The Heritage Gallery at the museum houses antiques from the days of the GBSR; signaling boxes, portable generators and even cutlery, all in mint condition. Browse through documents and time tables, or photographs of historic steam engines that worked the GBSR lines. There is also a wagon room dedicated to the specially designed saloon cars used by the Maharaja to travel across his railways. The newly opened narrow gauge and popular culture gallery will hold your attention with its colorful depictions of railways in film, fiction and art. Gaze in wonderment at how India’s tribes depict the train in their ritual paintings, or be enthralled by the fascinating story of the birth and growth of narrow gauge railways the world over. Don’t miss one of the Lumiere brothers early films, ‘Arrival of a Train at La Ciotat’ while visiting the museum. • Timing: The Museum is open from 10 AM to 1 PM from Tuesday to Friday and 10 AM to 5 PM on Saturday and Sunday. Closed on Mondays. Goya Gate (now Pratap Nagar) Station provided gateway to Narrow Gauge system to Baroda. 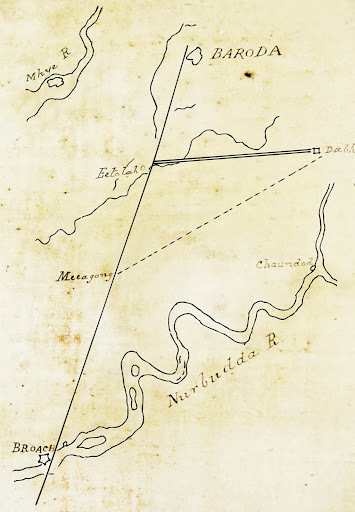 Narrow Gauge line from Dabhoi reached here on 1st July 1880; however, survey for location was done well before Dabhoi-Miagam section was even opened, during October-November 1860. When the proposed line was Baroda-Dabhoi and not Dabhoi-Miagam. After up-gradation of Dabhoi-Miagam in 1873, the idea was mooted about its extensions, esp. to Baroda. Only after great persuasion BB&Cl agreed on 9th May 1878 to permit connection with Goya Gate. Estimated cost of extension from Dabhoi to Baroda was Rs 1,31,652 and the contract was awarded to Mohan Lal Bechardas & Co. After opening of Goya Gate on 1st July 1880, Line was further extended by 2 miles to Vishvarnitri junction on 24th Jan 1881. ln the ﬁrst (1881) year itself, earning from Goya Gate station was Rs 51,164, second only to Chandod. Major impact was that it connected Baroda with hinterland ln the ﬁrst year (1874) numbers of passengers were 55,283 it swelled to 2,72,015 by 1881 with Goya Gate and Vishvamitri getting connected. Broad Gauge connection with Vishvamitri came in 1923-24 and with this transshipment from NG to BG and vice versa started. During 1930, around 6,013 Broad Guage and 5,927 Narrow Gauge wagons were transshipped which were the highest among-st all the transshipment points of GBSR. By March 1922, workshop building was completed and most of the machinery had arrived. Workshop was working not only for GBSR but other railways also. By the end of 1924-25, there were four foremen, 15 charge men and 807 workmen. However, by 1932-33 there was drastic reduction and workmen were only 321 with 3 charge men and 2 foremen. During 1923-24 out turn was 163 vehicles. Apart from that, ﬁfty covered wagons received from England were erected, two new saloons for Nawab of Rampur were constructed. By 1925-26, percentage out turn in relation to capital was 27%. In 1934-35 workshop expenditure was Rs 332,712 and out turn was Rs 3,46,003. The workshop was also working as a furniture shop and made furniture for Palace. Tergnier, a Railway Town in France inﬂuenced Sayaji Rao Gaikwad to build a Colony for railwaymen near Goya Gate, where the Head Quarters of GBSR was located. Works at Goya Gate – State railway ofﬁce, Residential quarter for ofﬁcers, Loco Carriage and wagon shops and stores etc. were planned with Rs 5,32,000 in 1920-21 and in the ﬁrst year itself, Rs 2,55,013 was spent. Out of 16 quarters planned 13 were ready by end of March 1922. Besides this, two bungalows for state ofﬁcials were built at Race Course Road. Bungalow no. 4 was designated for Manager, GBSR. After merger of GBSR with BB&CI in 1949, it was proposed to be converted for instructors of Railway Staff College. However, later on with divisional set up it was nominated for Divisional Railway Manager. 31st July stood at Rs 3,015-15-8. In 1939-40 a dispensary with full time medical ofﬁcials was also opened here. Baroda State was involved in planning for railways since 1860, when ﬁrst letter was written on 23rd March 1860 to lay a line connecting Dabhoi with Broad Gauge network. It constructed and owned ﬁrst Narrow Gauge line of lndia in 1862 and by turn of the century had all the gauges Narrow Gauge, Meter Gauge and Broad Gauge. However, operation and maintenance was with BB&CI and other railways. On 1st October 1921 Gaekwad Baroda State Railway (GBSR) took over operation and maintenance of Narrow Gauge system. By this time Baroda State had 557.32 miles of Railway network out of which, 267.83 miles was Narrow Gauge, 208.07 miles was Meter Gauge and 21.42 miles was Broad Gauge. More NG lines were constructed and by July 1922, 378.97 miles of open lines, which included 341.95 miles of Narrow Gauge and 37.02 miles of Meter Gauge of Okhamandal came under direct purview of GBSR. By 1923 Okhamandal system was handed over for operation and maintenance to Jamnagar Railway. By 1940 Baroda State owned 723 miles (excluding sidings), out of which, 663.96 miles was run by GBSR. it included 355.73 miles of Narrow Gauge and 308.23 miles Meter Gauge. (Gaekwar’s Mehsana, Khajadia-Dhari and Prachi-Road Kodinar) Construction of State Railway ofﬁce commenced in November 1920 with estimated cost of Rs 1,80,796 and was ready for occupation in 10 months. Similarly, construction of Railway Store and Loco Offices was started during early 1921 and was ﬁnished before end of the year. During the last 6 months of BB&CI administration (up to Sept 1921), Dabhoi lines showed a loss of Rs 6,421 (Gross earnings – RS 4,72,383 and working expenses – Rs 4,78,804) and overall Narrow Gauge suffered a loss of Rs 4,802. Within 6 months of taking over (from 1“ October 1921 by GBSR) Dabhoi lines jumped to a proﬁt of Rs 91,557 (Gross earnings — Rs 5,34,470, working expenses – Rs 4,22,913) and overall Narrow Gauge system got a proﬁt of Rs 1,59,875. During 1940, Net earnings of NG System was Rs 8.28 lakhs (Gross earnings – Rs 25.02 lakhs, working expenses – Rs 16.74 lakhs) with working percentage of 66.91%. For Meter Gauge system, net earnings were Rs 9.54 lakhs and working percentage of railway was 60.12%. By 1925, average speeds of trains had improved, new stations opened and additional trains were running. Expenditure was curtailed both on wages and maintenance. Bombay, Baroda and Central India (BB&CI) railway comapany was incorporated by an Act of Parliament in July 1855 & it entered into an agreement with East India company in November 1855 for Railway construction. 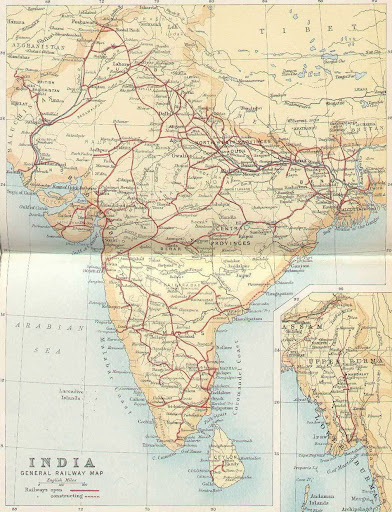 Initial Plans were to connect Bombay with Delhi or Agra by constructing a line via Surat and Baroda linking with EIR. Sanction was however given for line upto Ahmadabad, to ensure that cotton growing districts of Gujarat are linked with Bombay. As first part Surat and Baroda was to be Linked and line to be extended to Ahmadabad. Sanction for linking Bombay came in 1858. Cutting of first sod took place in May 1856 and first section was opened in February 1860 between Utaran and Ankleshwar. Bridges specially ‘Taptee’ & ‘Nerbudaa’ were great challenges. Herculan efforts of J.P. Kennedy ensured it and railway reched Bombay (Grant Road Terminus) in 1864 and Bombay-Ahemdabad was connected in 1865. After Narmada was bridged an Bharuch was reached, it was a short distance to Baroda. BB&CI linked Baroda on 9th January 1861 when first train reached Goya Gate amidst great fanfare. It was seat of Gaekwads, who were one of the few States honoured with 21 Gun Salutes. It was one of the Largest & wealthiest princely state of British India, with wealth consuming from lucrative cotton business as well as rice, wheat and sugar. Baroda State covering over 8000 sq. miles was subdivided into four prant (State), namely Kadi, Baroda, Navsari and Amreli, Okhamandal region near Dwarka and Kodinar near Diu. Baroda State was founded in 1721, when Maratha General Pilajirao Gaekwad conquered Songadh. Maharaja Ganpat Rao Gaekwad (1847-1856) granted land and permission to BB&CI to construct Railway in his territory. 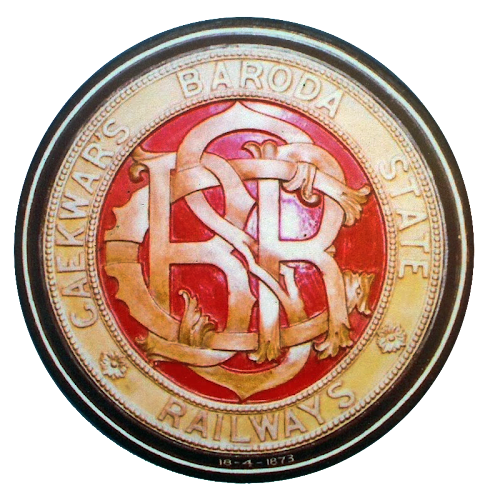 Realizing the importance of Railways, Baroda was the First Princely State to pioneer railway network to its own when it started Narrow Gauge Network. 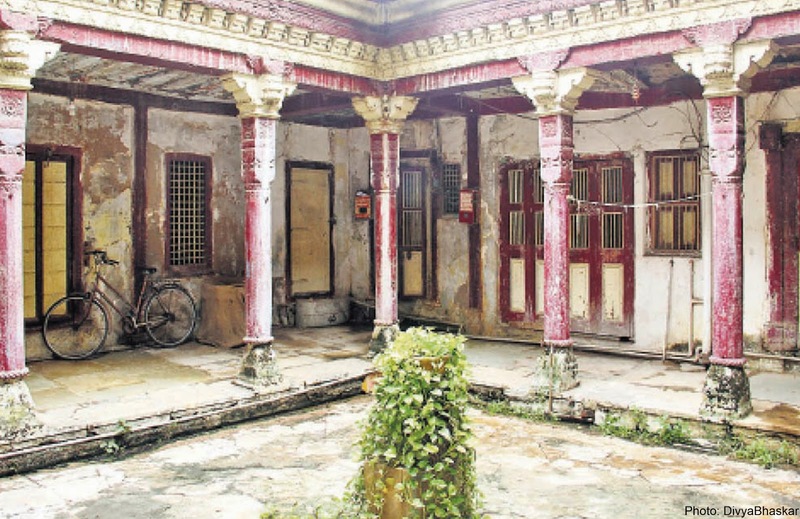 Dabhoi, a historical city known for architectural splendor of its Gates was also one of the most flourishing trading center during 19th Century. 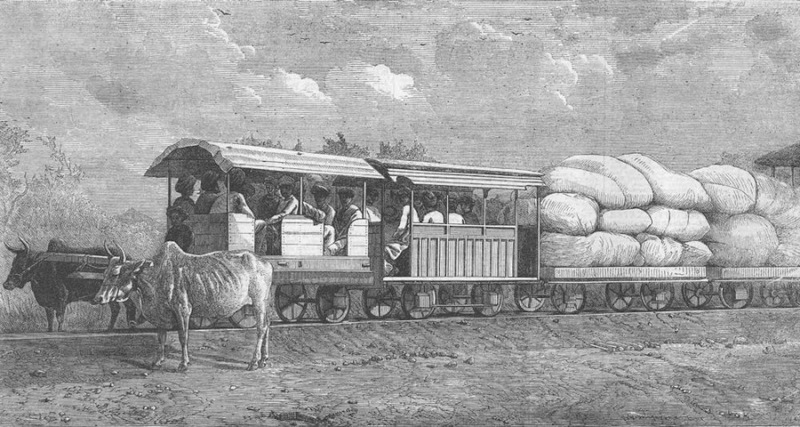 Trade was mostly Carried out in cotton, grain and mahaua seeds. It was also known for weaving along with metal work and wood carving. With rail connections so close Gaekwads decided to make a rail link of their own connecting Dabhoi with Baroda-Bombay line. First proposal mooted was for a connection from Etola, a station located very close to Baroda. Later on plan was changed to linking it to Baroda, however finally it was decided to link to Miagam, a station close to Bharuch with Dabhoi. In 1855, a survey was already made by BB&CI of linking Miagam with Dabhoi as a part of survey of linking Indore with Bombay. In 1862, a narrow gauge line of gauge of 2 feet 6 inched with 13 lbs rail was made to connect Dabhoi with Miagam, a distance of 20 miles. Rails turned out to be too light for steam engines and bullocks were used for hauling train. It was beginning of Narrow Gauge in India and also firt effort by any princely state to develop railways. At present, completing 150+ Years, Dabhoi-Miagam is one of the Oldest continuing passenger Narrow Gauge (2 feet 6 inches) line. rs rose to 2913 Maunds. This ushered a new era and for this poundage of rail was changed from old 13 lbs to 30 lbs (old rail was not only too brittle for Steam engines but was also causing damage to wagons and coaches), formation was strengthened and even new stations were opened up. Line which was opened up in 1862, after some years had started giving trouble and slowly traffic stopped. lt was decided to re-launch it and with the expenditure of Rs 4,18,622 it was restarted. Lower class fair was 4 pie per mile and upper class fair was 8 pie. Goods were categorized in five categories ranging from 1st and special class to 5th class and tariff ranging from 10 pie per mile to 40 pie per mile. Special concession was given to salt and grain where it was 8 pie per ton per mile.A passenger train could carry 212 passengers and a goods train could haul 57 tons with trailing load of 19 wagons and a brake van. Speed of section was 8 miles an hour. Out of 11 passenger coaches, there was one upper class carriage for 12 passengers, and rest were lower classes, each carrying 20 passengers. Working system was train staff system. 1st July 1880, NG reached Goya Gate (now Pratap Nagar) and Baroda was connected with the Narrow Gauge network. After re-opening of Dabhoi-Miagam section, efforts were made to link other sections and Chandod, a holy place was linked on 15th April 1879, followed by Bahadarpur on 17th September 1879. After Goya Gate line moved towards Vishvamitri and it also came on Narrow Gauge map on 24th January 1881. Estimated cost of this expansion was Rs 7,57.407. Major cost was borne by augmentation of rolling stock which led to expenses of Rs 1,39,190. Narrow Gauge network has become almost 60 miles. With these expansions full potential of traffic was realized. During 1880, percentage of expenses to earning reached 49.44 and return on capital become 5.67%. Instrumental in building the first rail connection to Vadodara, the BB&CI was until 1921 responsible for the operation and upkeep of the narrow gauge network of the Gaekwars. It was only under the stewardship of Maharaja Sayajirao Gaekwar, that the running of this enterprise was finally taken under the wing of the State in the form of the GBSR. Within six months of the take over, the losses incurred by the network turned into profits and plans were already underway for the construction of the State Railway Office (present DRM Building) and a Railway Store and Loco Shed. Residential quarters, recreational facilities and officers’ bungalows were later added to the complex. Post Independence, on Sept 4th, 1948, an interim Government under Prime Minister Dr. Jivraj Narayan Mehta was inaugurated in the Baroda State by the Maharaja at a special Durbar. Finally on May 1st, 1949, Baroda State, the third largest state of the British India formally merged with the Union of India. Dr. Jivraj Narayan Mehta later on became the ﬁrst Chief Minister of Gujarat. GBSR also merged with BB&CI in 1949 with merger of Baroda State. On 5th November 1951, Westem Railway was inaugurated. It was created with merger of BB&CI with Saurashtra, Rajputana and Jaipur railways. 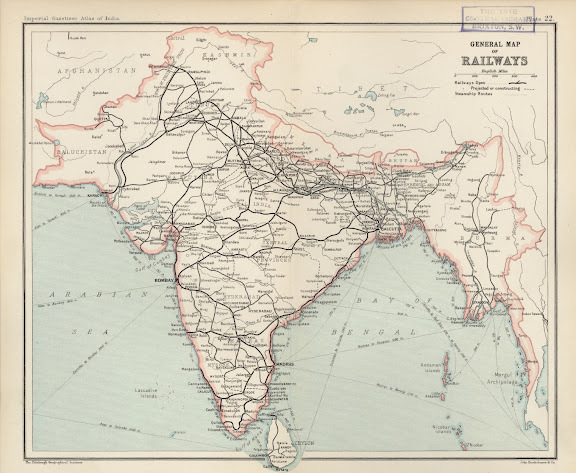 Several railways of westem Gujarat, including the Bhavnagar, Kathiawar, Jamnagar, Dwarka, Gondal, and Morvi railways were merged into the Saurashtra Railway in 1948. With the introduction of Divisional system, the Baroda Division was inaugurated on 15th August 1956. Its office was located in the same building of headquarter of GBSR since 1st October 1921.